Holder of a Doctorate in Mineralogy and Geology from Tohoku University in Sendai, Japan. 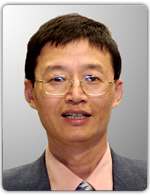 Currently the Chief Researcher at China’s National Gemstone Testing Center (NGTC), having previously worked as a research scientist and scientific advisor at AIGS, the Gemological Institute of America (GIA), the National University of Singapore and China's National Gems & Jewelry Technology Administrative Centre. Vice-Chairman of the Academic Education Committee and the Colored Gemstone Branch of the Gems & Jewelry Trade Association of China (GAC). Secretary General of China's National Jewelry Products Quality Inspection Committee of Technical Experts.